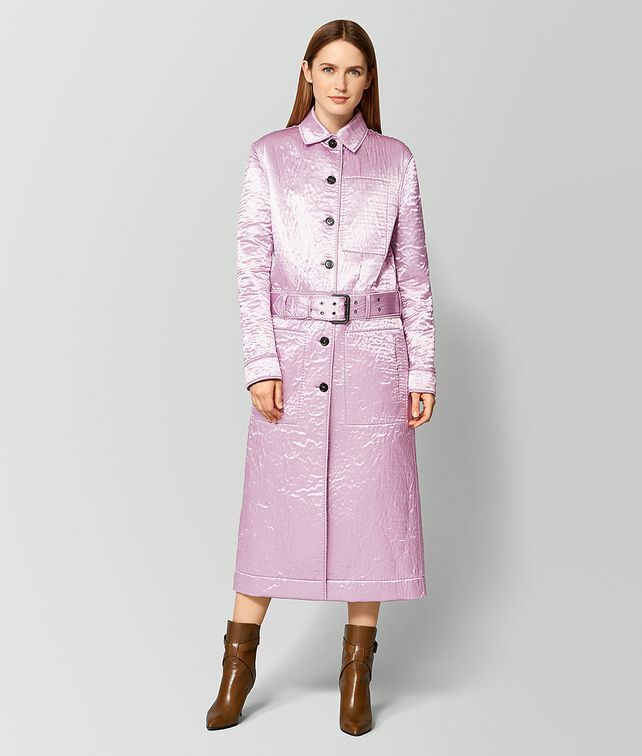 This belted coat, shown on the Fall/Winter 18 runway, is designed to complement the season’s luxe loungewear sensibility. Made from viscose satin bonded with felted wool, it has a juxtaposition of matt and shine that’s seen throughout the collection. The bottom half of the coat can be zipped off to wear the piece as a waist-length jacket. It can also be worn as it was in the fashion show, half-zipped with the feel of a cutaway jacket.